Guys! You Can Now Get The Finesse Of A Pastry Chef In All Your Desserts, Thanks To This Chennaite! 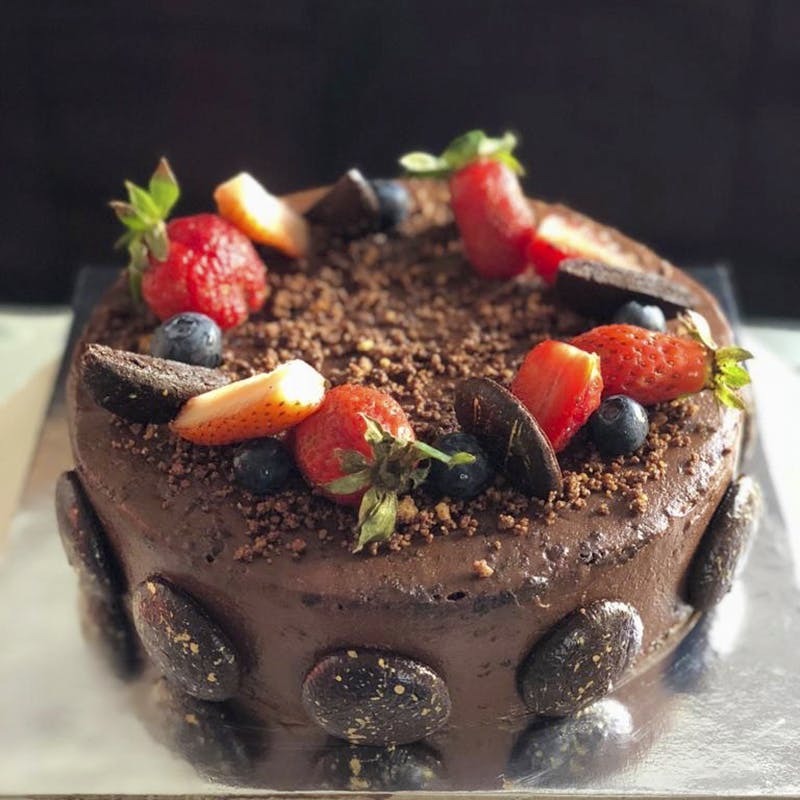 From cookies, pastries and cupcakes to macarons, cakes and dessert jars, Sarmishta Baliga, a Chennai-based pastry chef is here to cater to all your sweet tooth requirements through her initiative called Baked By Sarmi. Ever wished you could have a pastry chef cater to your cravings? Bake your cupcakes and tarts without costing you a fortune? Guess what? Your wish just came true. Sarmishta Baliga, a true blue Chennaite and a pastry chef by profession is here to satisfy all your sweet tooth requirements through her initiative- Baked by Sarmi. Whether it’s a cake, cookies or macarons you require - Sarmishta can do it all. You just have to inform a day in advance. With locally-sourced ingredients and a menu that draws inspiration from both international and Indian palates - you can literally experience a world of flavours in your desserts. Wondering what we’re talking about? It’s chocolate bon-bons and pralines, garam masala chocolate cookies and brownie bites, rose and coconut flavoured cupcakes, mango chilli tarts, pop-corn caramel smores, pina colada macarons, berry cheesecakes and more. Yes. She has something for everyone. While chocolate is her specialty, she also does a lot of confectionary treats such as marshmallows and pâte de fruits, which are like your jujubes. Not just that. If you’re looking for something savoury - Sarmishta can cater to that as well. From chutney rolls to bruschetta bases, savoury tarts made with pesto, spicy corn, roasted bell pepper and cheese, you have lots to choose from. The minimum quantity for these is 6 pieces that are priced between INR 250- INR 300. She also has a health menu that includes non-refined sugar treats, gluten-free and keto cookies, dairy-free cakes and brownies and more. You can also opt for eggless varieties across all the items. And as if all this isn’t amazing already, Sarmishta also does catering for dog birthdays. Yes! You read that right. She can make sweet treats for dogs such as cookies and cakes and customize them to your requirement, with the price for a 250 gm cake starting from about INR 250. How cool is that? You can also hire her services for private buffets, dinners, and parties. Known for setting up great dessert tables with her ‘two-bite’ delights like mini cupcakes, fudge bites, brownie bites, cookies and more, you can totally win your guests over. If you’re looking to gift sweet favours, you can also get hampers customized from Sarmishta. Starting from about INR 500, the orders for these have to be placed a week or two in advance, depending on the size of your order.